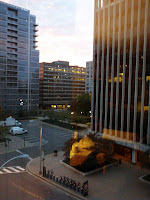 When I was back east for a wedding last month, I stayed in a hotel in Arlington, Virginia. 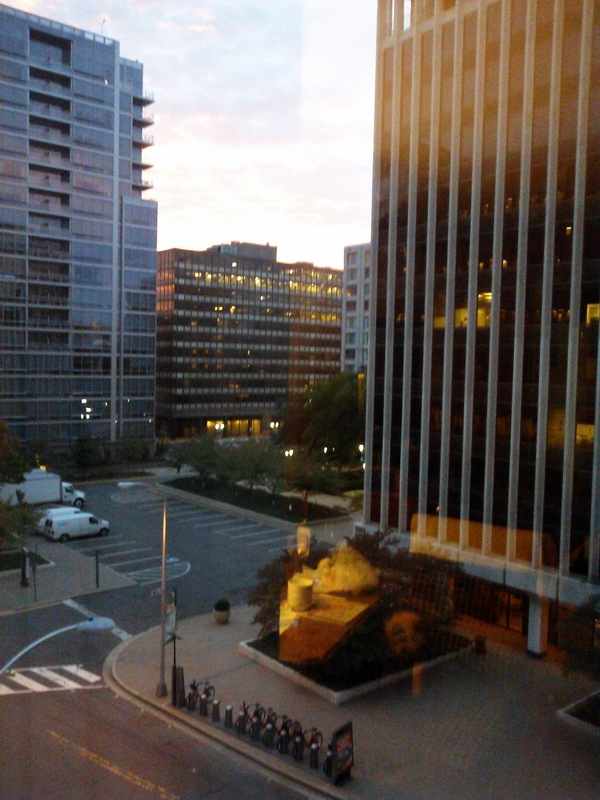 I had various unusual for me experiences, things I wouldn’t have a bit of trouble getting used to, including: someone else keeping my room clean, watching the sunrise illuminate tall buildings outside my window while I drank room service coffee and read the Wall Street Journal. Of course, of all the interesting articles in the Journal, the one that caught my writer eye was about writing novels in these digital times. The article, “How the Internet Saved the Novel” by L. Gordon Crovitz’s in his column Information Age, gave me hope. Mr. Crovitz, a Rhodes scholar, has credentials out to here, including being a member of the board of directors of Houghton Mifflin Harcourt. A quote I love from the article is, “In an age of constant digital snacking, readers seem to yearn for skillful storytelling.” Really, how can you compare a cracker and peanut butter to a Thanksgiving dinner in all its glory? I continue to believe, as many of us writers do, that readers today need, at least as much as ever, a wonderful story in which to sink their teeth, human or vampire, original or replacement. Our writing assignment, should we choose to accept it, is to continue to tell a wonderful story, while striving for perfection, representation, and publication. Our readers are waiting for our written words to provide the needed balance between the frantic digital mentality and the restful focus and satisfaction found in reading a novel.